They are so well adapted for their environment – tomato plants. They are quite the creature. 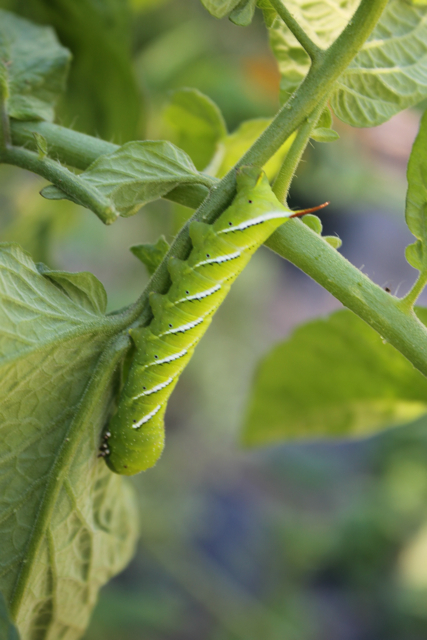 Soft green body, white angular stripes, little black spots lined up along the white angular lines creating another line of sorts…the long reddish thorn/horn sticking out of the top of their head, their little white tipped sticky feet…I despise them. They can wipe out a crop of tomatoes in no time. While clipping away all the excess leaves and stems on each of my 5+ foot tall tomato plants I also clipped them. I felt terrible. Yet, it had to be done. My tomatoes were under attack. Homegrown tomatoes come once a year and the process is a long one, particularly in this region – I’m not going to let this beautiful menace of an insect eat my tomatoes. No way. In each of them I saw the disappearance of my dreams…my dreams of slicing into a juicy ripe tomato – picked fresh from the vine (literally), grown and cared for with love, for months…those threatening horned headed creatures were not going to ruin my summer. No. 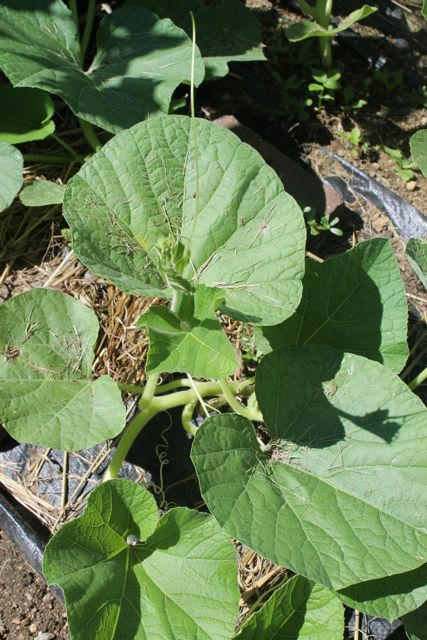 The squash bugs have been perpetrating my cucumbers ever since they were transplanted, poor things… though my daily retaliation (I hate squishing them – I cringe with every squish – yet one must do, what one must do) has helped and they are still thriving…sadly, my pumpkins not so much. I fear this may be my first year with no pumpkins – shame. 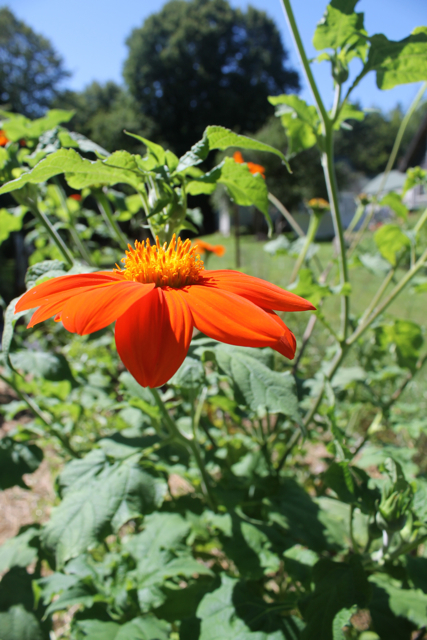 I also planted Mexican sunflowers for the first time. They are great! Super full and so colorful, very different than the traditional sunflowers I’ve planted in the past…thanks Kate for the suggestion. 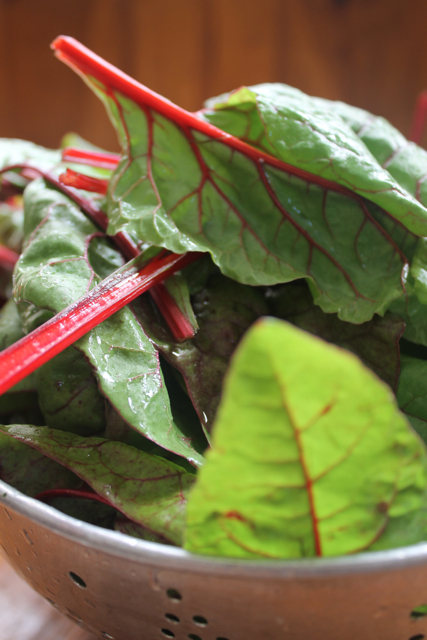 Swiss chard is glorious and I will be posting about it soon – more specifically, swiss chard tart. It is so good, especially when paired with minestrone soup! Radishes were fun. I had never planted radishes before but I came across a packet of free seeds (from a local store I frequent – also how I got my gourd seeds), so I planted a row – and in days (or so it seemed) I had radishes. I will definitely plant this veggie again. 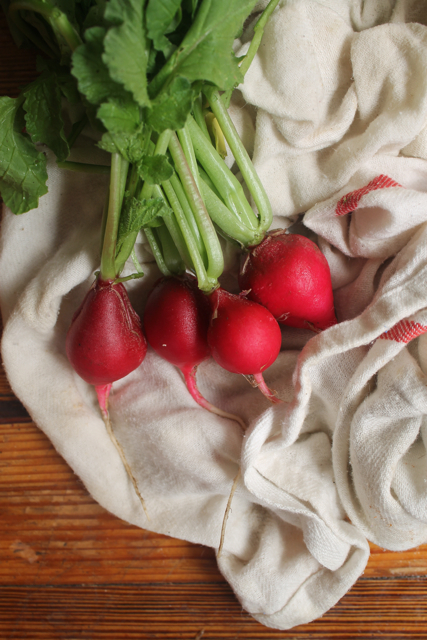 Does anyone have a great recipe for radishes? If so, share in the comments section below – thanks! All in all, for such a crazy summer (weather wise), the gardens (both the vegetable and flower) are doing surprisingly well. I’ve recently planted more lettuce and spinach seeds and am planning on planting garlic this year. A wonderful reader (thank you Mim) recently gave me three beautiful garlic heads from her garden and while I will enjoy two heads now, one will go into my garden for next year! 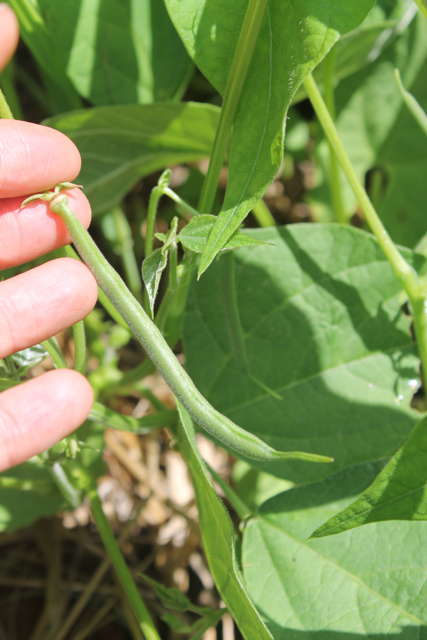 How has your garden fared this year? Have you tried anything ‘new’? If so, what was it and how did it work out? 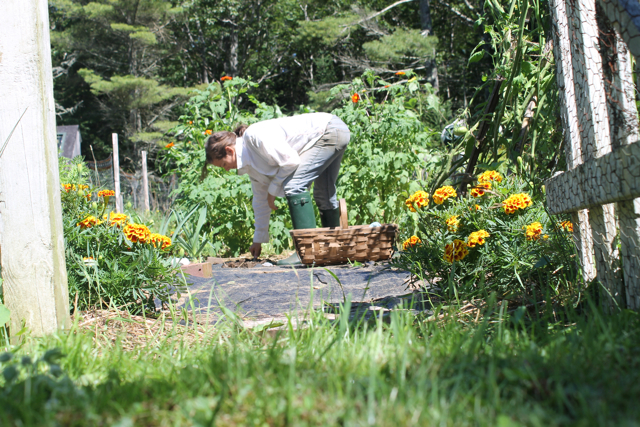 Love to hear your thoughts on gardening. 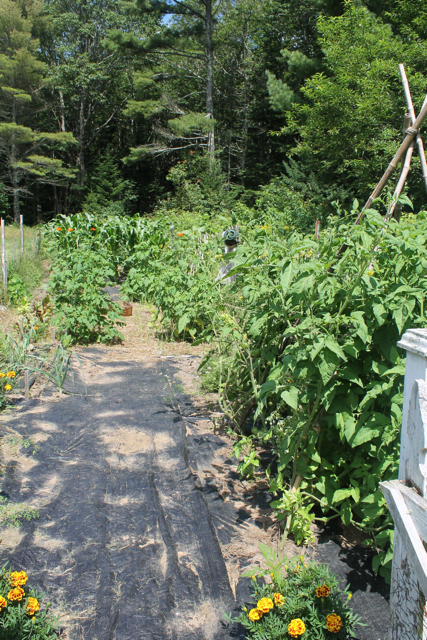 This entry was posted in everyday life, gardening, photography, simplicity and tagged gardening, home, life, maine, photography, tomato worms, writing by ripe red berries. Bookmark the permalink. 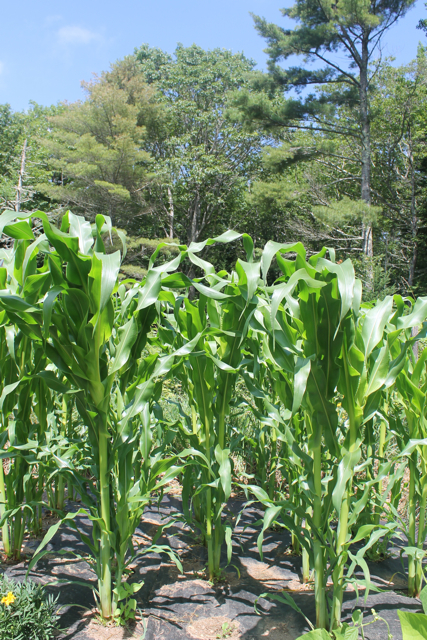 Your garden and veggies look wonderful! 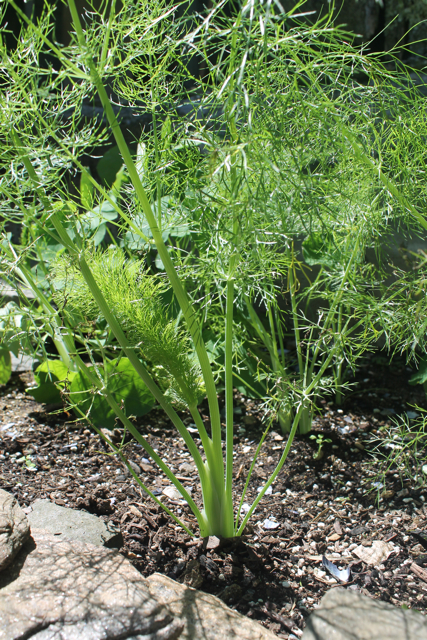 Our garden is so happy this year from the incredible amount of sunshine we have been getting…. much more than average for the west coast! Our cucumbers have not been fairing well though; maybe we aren’t watering them enough, because they are so bitter! Thank you! Lucky you, we’ve had a very wet summer…though recently, the sun has been shining…yeah! 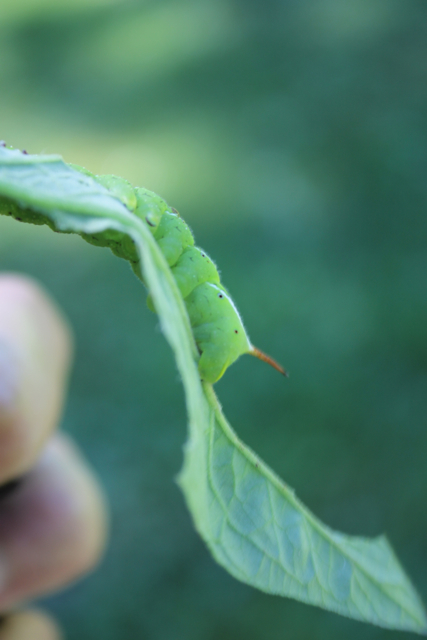 I’ve had some good years with cucumbers and some bad, this year – not so great either…not sure why? Not sure why they would be bitter…? Hoping you get a few good ones! My mother in law is a gardener also, and she suggested that cukes get bitter if they haven’t been watered enough. We’ve definitely been more vigilant with watering them since she mentioned it, and I think it has made a difference. Good to know! I just watered mine today, maybe I should water again tomorrow…hoping yours get better by the day. Thank you for sharing! What a beautiful garden you have! And thanks for showing all of it–because by the end of the post I had almost forgotten that ugly, hateful, tomato plant eater from the beginning. Join me up in the club against those guys!! Overnight your tomato plant will be robbed. No need to worry about those worms this year in north Georgia, though. We have had so much rain that the plants have given up and we pulled up their sad remains yesterday. The bacon and tomato sandwiches were wonderful and I’ll try again next year. 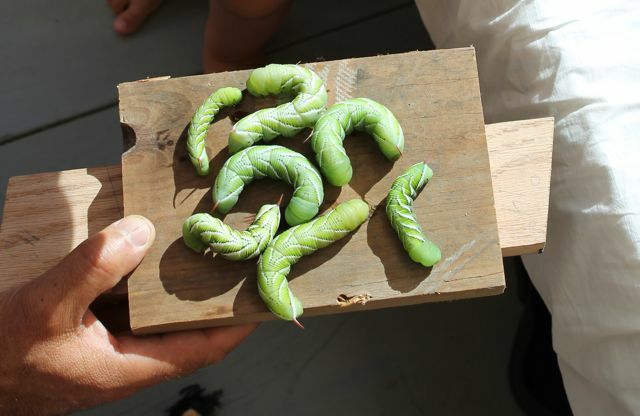 Tomato horn worms. YUCK! We just stick them in a bag and toss them in the trash. None this year, but my garden is pretty sad compared to yours. Your garden is producing well. You do not seem to have deer problem, wish I didn’t. Yep frost will be here sooner than I would like, our night time temp has been low also.